We had earlier elaborated on some of the automotive technical terms which one would encounter the moment they enter the automotive world. In this article, we have just continued those terms and have added many topics. These are some of the terms in the series and we assure you that in due course of time, we would add more to this library. Listed below are some of those automotive terms and their meanings. This translates to Anti Lock Braking Stability. Usually when we brake hard, the wheels lock up and this causes the car or bike to tramline. To avoid this, manufacturers have started providing the ABS technology. ABS uses a variety of sensors which help prevent wheel lock up and hence provide the driver better control over the car. For starters, it works like cruise control however this is an advanced version of the same. Automatic cruise control uses a radar to maintain a distance between the car in front of you. It accordingly accelerates or brakes your car depending on the driving pattern of the car in front of you. This also depends on the traffic flow. This was introduced first by Volvo Motors and then was later on developed by Mercedes Benz followed by the other companies. This system monitors a driver’s driving pattern and alerts him or her if they start to drive erratically. The driver is usually alerted by a judder on the steering wheel or by an icon of a coffee mug displayed on the center console. 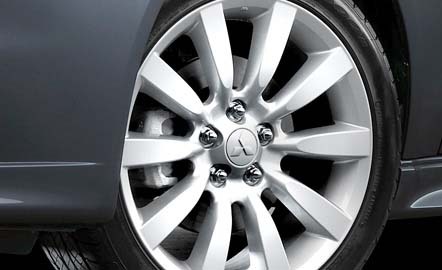 Usual suspension is made up of steel springs however an air suspension brings pillows of air in each wheel. According to driving styles, the volume of air in each of the pillows is adjusted in the suspension. This provide for a more pliant ride or handling depending on the preference. This signifies All Wheel Drive. Many of the manufacturers have their own versions of AWD but then the most significant as well as distinguishable one is from Audi, the Quattro system. Power from the engine is directed to all the wheels rather than just the front or rear wheels. In All Wheel Drive mode, the car consumes more fuel but is more stable on the road as well. This is an advanced system which enables that the driver always gets full braking power in emergencies irrespective of whether the brake pedal has been fully depressed or not. This even makes novice drivers look like pros. This is an example of automatic transmission and stands for Continuous Variable Transmission. 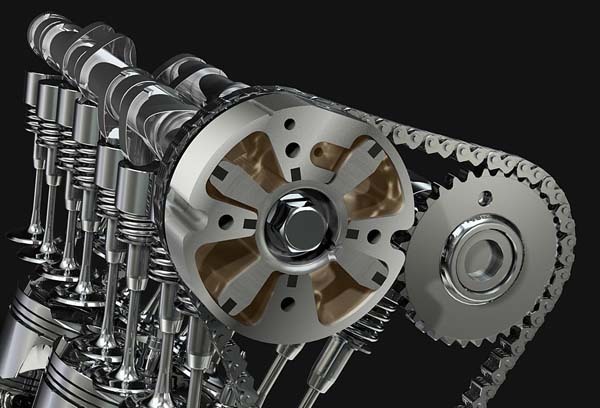 A CVT contains infinite number of gearing ratios for the driving conditions and also seamlessly shift. Performance lower down is enhanced by using a CVT however for the top end, it feels as if you are just ripping the car apart but still aren’t able to make any progress. This is an advanced form of the usual air conditioner found in a car. 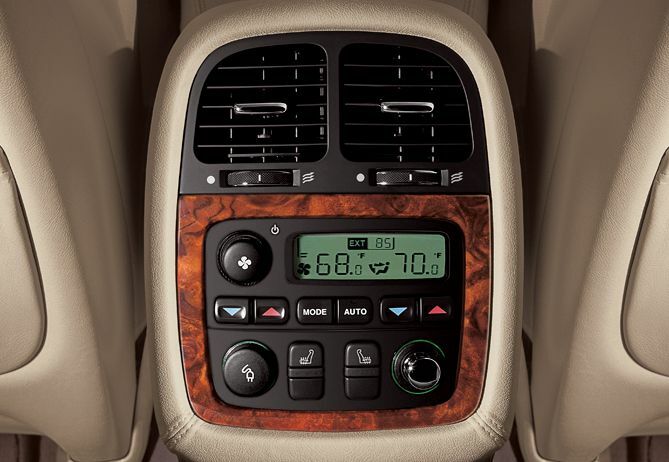 It sets the car’s cabin temperature at a desired level and maintains it. It is a technology that is found on higher end cars and in some small cars like the Maruti Suzuki Swift Zxi. In the event of a crash, these curtain airbags drop from above the doors to protect the passengers head. These were newly introduced to the world in 2004, first in the US market. As we have already explained, this now is a rudimentary system which defines a preset speed for the car and runs accordingly. Mostly used on the highways to provide for a relaxed driving without the driver having to prod the accelerator pedal. This must be a term many would have heard in terms of diesel car engines. This technology was first introduced in India by Hyundai Motors in their Hyundai Accent CRDi car. This technology allows for more efficient combustion of diesel leading to improved performance, fuel efficiency and also less emission norms. Most of the diesel engines have now adopted this technology. The usual method is to mix fuel with air first and then inject them into the engine’s cylinders. Well, the latest technology namely Direction Injection ensures that a fine mist of the fuel is sprayed directly into the cylinders. This technique is beneficial in the way that it allows for precise quantities of fuel to be used in all situations. This is universal now in diesel engines and fast catching up in the petrol domain as well. Electronic Brake Distribution is what EBD translates to. 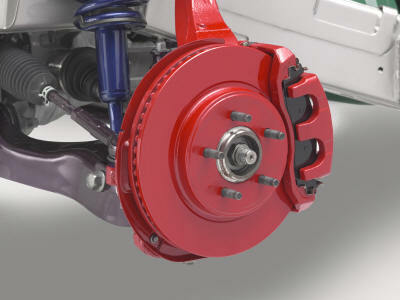 It is found in conjunction with ABS in many cars and gives better braking power to the wheel with the maximum grip. Especially helpful in preventing slipping of the car in slippery surfaces as also to help stop the car from spinning, EBD plays a major role nowadays in most of the cars. The government of a car, Electronic Control Unit is a small chip which can be found in the engine of a car. It controls the engine’s rev limiter, ignition timing, turbo chargers and valve control. Some of the ECUs are also known to control the seats and air conditioning. Performance enthusiasts often remap the ECU to gain better performance. This is the modified version of Brake Assist and stands for Electronic Brake Assist. In an emergency situation, drivers panic and sometimes apply less pressure on the brake pedals thann required. EBA senses this and applies full brakes until the driver removes his leg off the brake pedal. This is the saving grace of the world now. It means the use of a normal engine in tandem with an electric motor. For city speeds, the electric motor takes over and reduces the load on the petrol or diesel motor. At highway speeds, either both the motors work in tandem or only the petrol/diesel motor works away. This mode helps in increasing the fuel efficiency and also reduces the emissions. This is the oxygen sensor used to determine the levels of oxygen in exhaust gases. These can determine if the fuel/air mixture is been burnt at the current ratio and if not, adjust them accordingly. Failure of this technology leads to expensive repairs in the catalytic converter. 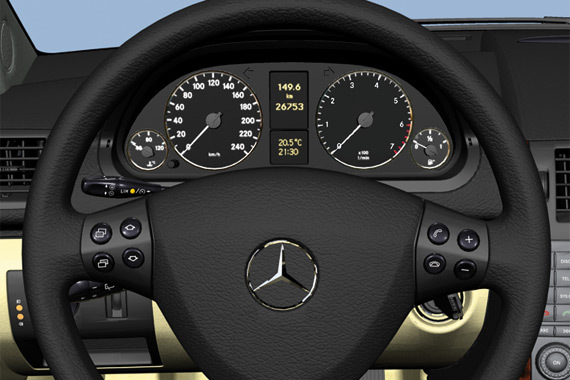 It is a typical steering wheel with controls for audio, cruise control and also hands free Bluetooth operation. This ensures that one doesn’t have to take their eyes or hand off the steering wheel to operate other devices. Particulate filter- Particulates are tiny pieces of carbon which are usually emitted by diesel engines. These cause lung problems. Diesel with low contents of sulphur is required by Particulate filters which help in reducing the particulates. It is also advisable to rev the diesel car on long journeys to get this filter cleaned. This term is used only for electric cars which have a limited range. It is basically a generator which holds good in driving the car until you find an alternative source to charge the car’s batteries. It is usually a small petrol motor mated with the electric one however the petrol motor would always be dormant until it is used as a range extender. Currently the only manufacturer in India using these type of tyres are BMW. These tyres are beneficial for the fact that they allow one to drive at low speeds even after a puncture. To make this a reality, the side walls of the tyres are laden with extra rubber to make them stiff. Due to this, ride quality usually suffers but then the handling prowess increases. This is the mechanical equivalent of a turbocharger. It is used in petrol engines and its duty is to feed more air to the engine’s cylinders. This results in increased performance but not at the expense of fuel economy. This system works in an unobtrusive manner by braking the individual wheels while swerving quickly or cornering. Its main role is to prevent the car from going out of control. It is also known as DSC and ESP. This technology was invented by the Volkswagen group. They call this as the DSG box. In theory, there are two clutches used. One is for the even numbered gears and the other for the odd numbered gears. This means that given any time, a gear is ready to be used. In practical environment, this means smoother, quicker and more efficient shifts. The other benefit of this dual clutch technology is that it allows the car to be run as an automatic as well. This can be explained as a lack of traction and excess of speed while cornering. Usually front wheel drive cars fail to turn in enough while cornering and hence they are said to understeer. This system allows the driver to use his voice to control many of the car’s features. This is usually found only in high end cars and helps the driver to be focused on the road ahead rather than been distracted by searching for various menus in the car. This technology is now widely used in the automotive world and only for petrol engines. Basically, the technology works in such a way that the air fuel mixture is varied before been sent into the engine’s cylinders. This helps in the engine achieving the best mixture of fuel economy while not compromising on performance. There are many companies using the same acronym namely VVTi, VTVT, VViT, I-vtec and so on. This roughly means the distance between the front and rear wheel. It actually means the size of the car. Mostly likely, the longer the wheel base, more would be the interior space in the car. Some of the cars in India are offered with a long as well as short wheelbase versions. Examples are the Mercedes S class, BMW 7 series, Audi A8 and also the Rolls Royce Phantom.